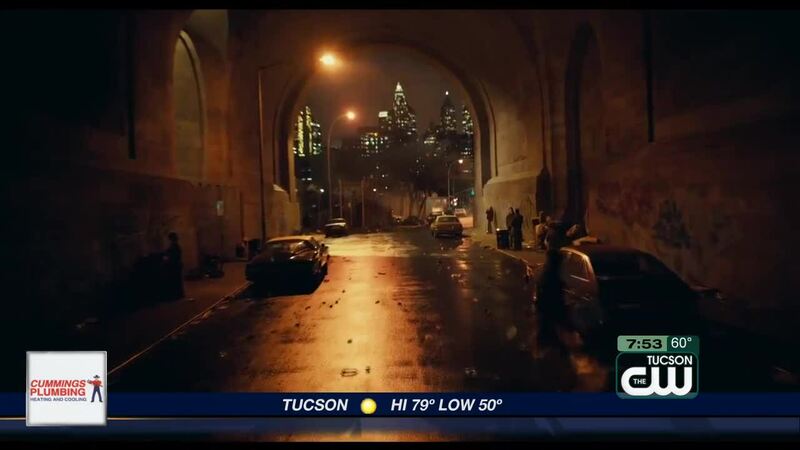 Warner Bros. unveiled its teaser trailer for "Joker" Monday, and the early glance shows that the studio is taking a darker, more psychologically incisive glance at Batman's archenemy. Joaquin Phoenix shows off a disturbing makeup job, as well as his grisly take on the Joker's voice. The storyline seems to take some cues from the famed 1988 Alan Moore graphic novel "Batman: The Killing Joke," tracing Arthur Fleck's fall from failed engineer-turned standup comic who plunges into dark madness as the supervillain of Gotham City. Warner Bros. adapted the story into a direct-to-video animated film in 2016. Also intriguing: Robert De Niro makes an appearance as a comedian, and Frances Conroy appears as Arthur's mother. The film appears to be a break from the norm from director Todd Phillips, who is known for comedies such as "Old School" and "The Hangover" trilogy. "Joker" is due in theaters Oct. 4.